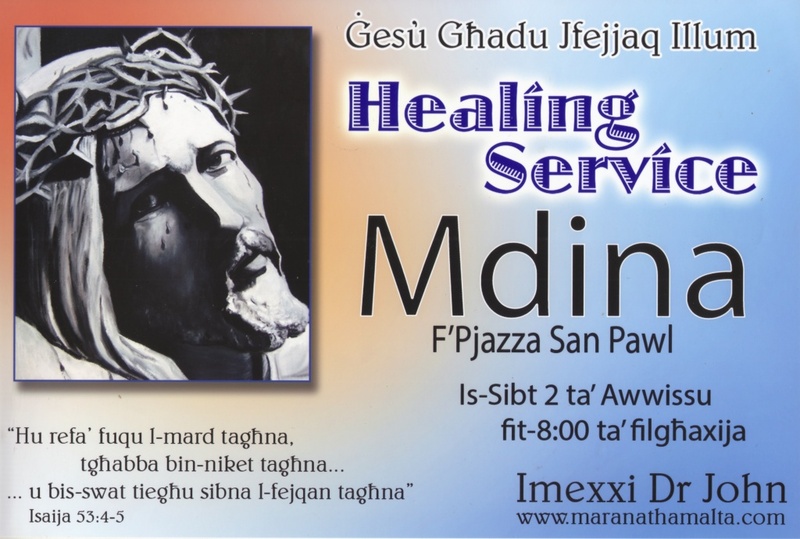 Just a quick reminder for tonight’s Healing Service by Marana Tha’, led by Dr John Bonnici Mallia, at 8pm in Mdina, in the square. Yes they are currently held on Fridays. I’m unable as yet to answer on Facebook if you asked me there, as there has been a Facebook purge of catholic pages and Catholic Healing was affected too.